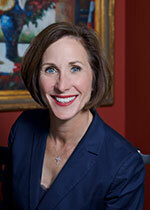 Senator Lois W. Kolkhorst is a fifth-generation Texan, with ancestral roots dating to the Texas War of Independence. Born and raised in Brenham, she went on to graduate from TCU where she played collegiate golf. Kolkhorst served as President and CEO of the Washington County Chamber of Commerce and Economic Development Corporation before being elected in 2000 to the Texas House. In 2014, after seven terms in the Texas House, she was elected to the Texas Senate in a special election, becoming only the 17th female to serve in the Texas Senate since 1845. She represents nearly one-million constituents in Senate District 18, which spans 21 counties and covers a third of the Texas coastline. As Chair of the Senate Committee on Health and Human Services, Senator Kolkhorst sets public health policies, regulates physicians and licensed health professionals, and provides oversight to state agencies including the Health & Human Services Commission, Department of Family & Protective Services and the Texas Medical Board. She has crafted statewide solutions to improve maternal mortality rates, and has worked to toughen Texas medical privacy law. A frequent collaborator with CASA, she has sought innovative ways to protect abused children and reform foster care. Serving on the influential Senate Finance Committee, Senator Kolkhorst is the only lawmaker in Texas history to be named twice to the Budget Conference Committee in both the House and Senate. Along with crafting the state budget, she has led efforts to enhance Texas roads, ports and trade corridors as a member of the Senate Transportation Committee. She also serves on the Senate Committee on Nominations, which vets and confirms government appointees who have been nominated by Governor Abbott. A longtime voice for private property rights, Senator Kolkhorst is a current member of the Senate Committee on Water and Rural Affairs, the Texas Agriculture Policy Board, the State Water Implementation Fund for Texas Advisory Committee, and the Texas Windstorm Insurance Oversight Board. She has passed legislation that impacts every code of Texas law, including calls for greater government transparency and reduced regulations for small farms and food producers. Along with helping to secure nearly $2 billion for border security, Senator Kolkhorst has worked with victims of human trafficking to shut down criminal smuggling networks. Her efforts to support public and higher education have earned her both the "Legislator of the Year” by the Texas Association of College Teachers and the "Friend of Education" award from Sam Houston State University College of Education. She has also received accolades and awards from the Texas & Southwestern Cattle Raisers, Texas Farm Bureau, Texas Wildlife Association, the NRA, the Sheriffs Association of Texas, CASA, the Texas Medical Association, the Texas Hospital Association and the Texas DPS Officer Association among others. Married to her high-school sweetheart Jim, together they have two children, Lois Kate and Jake. Her hobbies include hunting, fishing and gardening. She is a frequent volunteer at her local church.